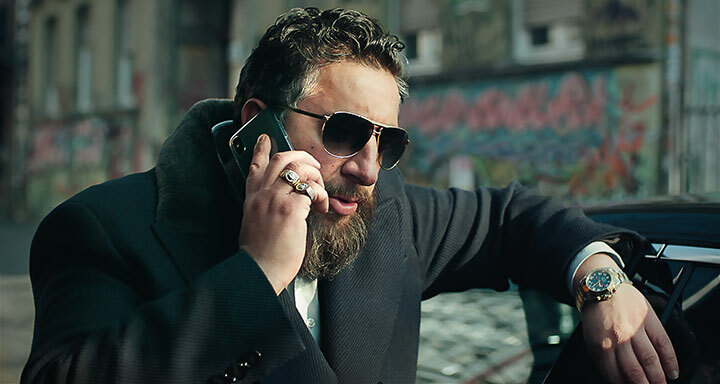 As German gangster drama 4 Blocks returns for a second season, DQ visits the Neukolln district of Berlin, where the series is set, to met the cast and creative team behind the show. Overlooking Berlin’s grand Neukolln Schifffahrtskanal, behind the towering Hotel Estrel, a group of industrial buildings has become home to the cast and crew of German gangster drama 4 Blocks. Inside one of the studios, lead actor Kida Khodr Ramadan (pictured above) is reprising his role as Toni Hamady, the leader of the Hamady clan who finds himself in a bleak and desperate position. After the events of season one, which saw Toni break his own code by killing someone, he is a lost soul. In the episode-one scene being filmed when DQ visits the set during production of the second season earlier this year, he is losing himself to gambling. Set one year after the climactic showdown, season two of the TNT Serie drama sees a new enemy, the al-Saafis, enter the fray. Described as an upper-class clan, they export art and have connections to high society – but that doesn’t mean they’re any less criminal. It’s another issue for Toni to deal with as he continues to operate without the support of his brother Abbas, who is toiling away behind bars as he awaits trial for murder. 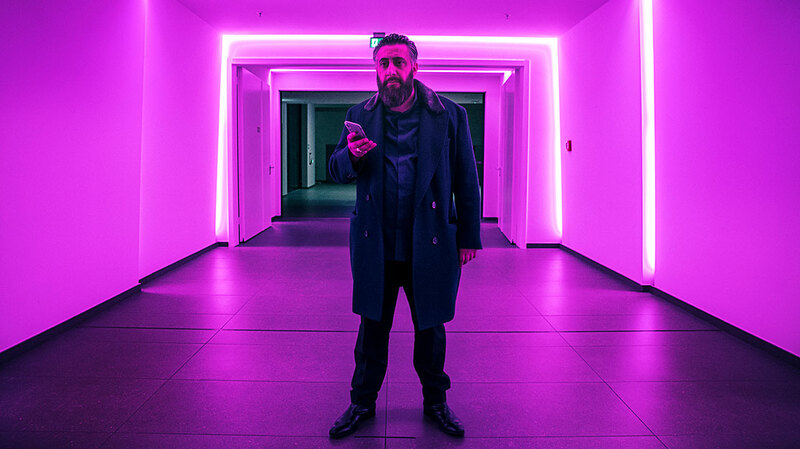 Inspired by a newspaper article about the challenges police face in certain areas of the German capital, notably Neukölln, 4 Blocks was developed by producer Wiedemann & Berg Television, TNT Serie, Kren and writing trio Hanno Hackfort, Bob Konrad and Richard Kropf. With all three writers returning for season two, they found their research process, which has proven key to the show’s grounding in reality, was much easier thanks to the success of season one, which also aired in more than 200 countries on Amazon Prime Video. The series is distributed by TNT Serie owner Turner. They utilised a “slow and steady approach” ahead of the first season, speaking to journalists, police, politicians and people in the community. That was helped by Ramadan, who was raised in Neukölln and was able to introduce the writers to people living there. Behind the camera, Oliver Hirschbiegel (Downfall) and Özgür Yildirim take over directing duties from season one’s Marvin Kren, who remains an executive producer. Together they have sought to echo Kren’s style, but the new run has also meant taking charge of more violent and action-heavy scenes. “The season is pretty much about getting close to the dark souls of these guys, and to their hearts as well – the good aspects and the evil aspects,” Hirschbiegel says. “It’s a good means to make the audience conspire with the naughty things these guys do. 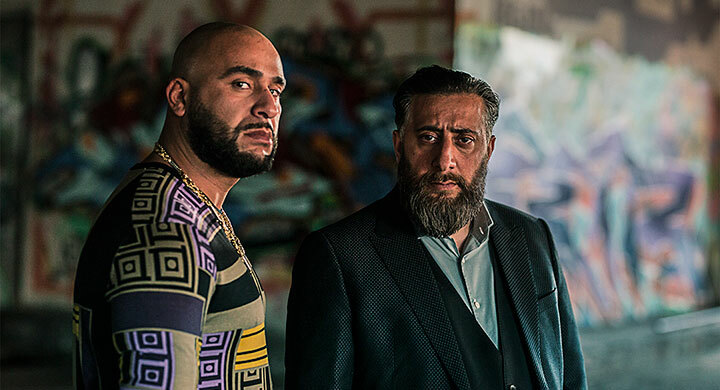 That work helped to cement a gangster series in Germany’s television schedules, with Yildirim claiming 4 Blocks is the country’s first drama to establish itself in the genre. This was achieved by treating the criminals as the protagonists rather than the antagonists. Berg accepts season two, which has a budget north of €5.5m (US$6.3m), pushes its real-world grounding, but says genre series are able to stretch the boundaries of traditional dramas. “There is a lot of room for more to come, that’s for certain,” he adds. The focus on family as much as criminality has also given rise to a number of female characters, who are notable not just for their relationships to the men in the series but because of their own values, beliefs and backgrounds.